Creamy, sweet, and loaded with nutrition. 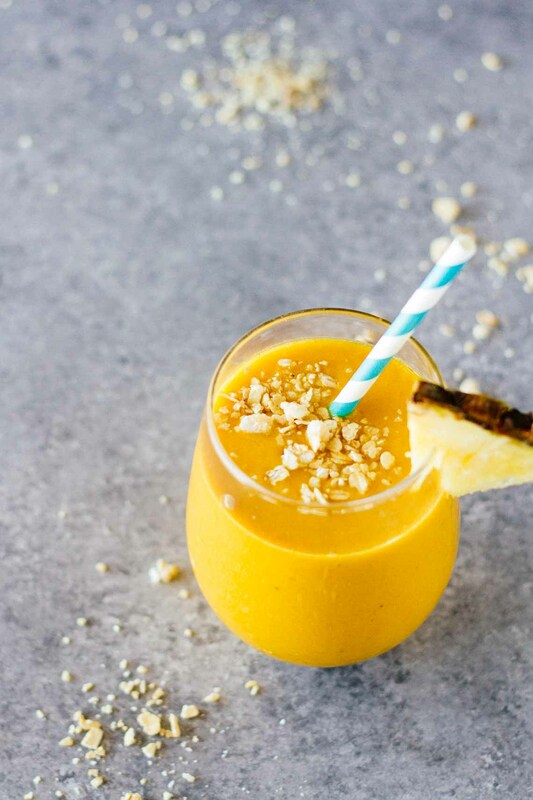 This Golden Glow Pineapple Turmeric Smoothie is a great way to start the day! If you’ve haven’t noticed from reading my other blog posts, I’m not really a fan of the whole winter/cold weather thing. Actually, allow me to clarify….I’m not really a fan of the whole winter/cold weather thing AFTER the holidays! I basically love winter and snow through New Years Eve and expect nothing less than full-on spring starting on Jan. 1st. After all, the weather should be warm when I start eating healthy again, right? Obviously, it’s a huge disappointment every year as it’s still very much winter. And in Oklahoma, there’s no telling what the day will look like…one day it’s 80 degrees and sunny, the next day it’s 7 and snowing. I think that actually happened pretty recently! Now I’m not complaining by any means because as a non-winter person, I’m pretty grateful that it’s not as cold here as it is in other places. Shout out to my northern friends! Which is basically everyone other than Texans, for me. But let’s just say that I’m really excited for warm weather and a new season! Thankfully, spring is right around the corner. 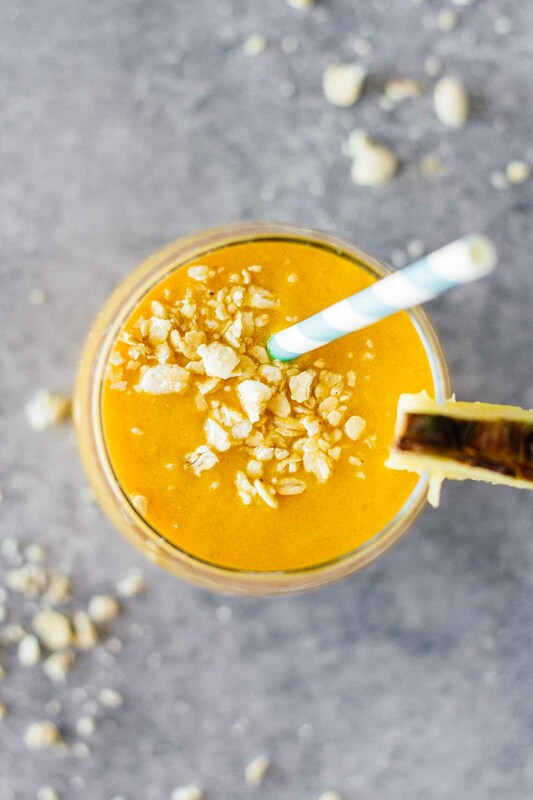 And I’m welcoming it with this Golden Glow Pineapple Turmeric Smoothie! Yup. I basically put it in everything that I possibly can. It’s loaded with good things and has such a unique, warm flavor! 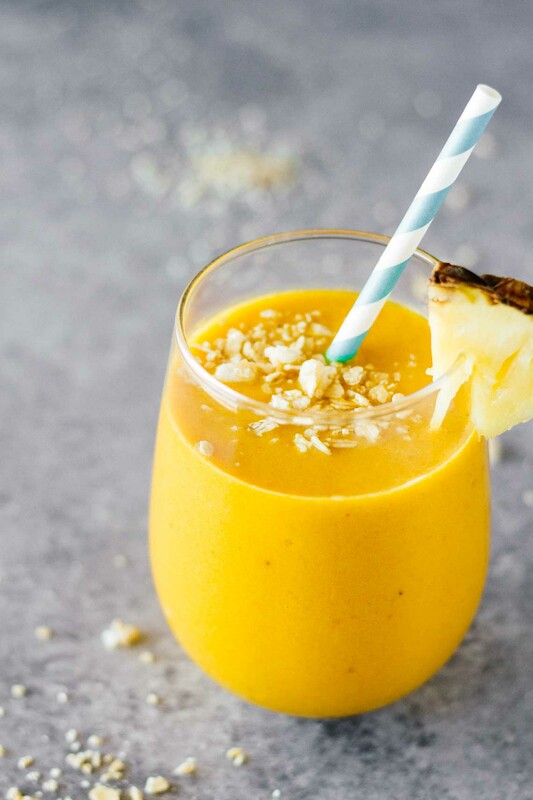 This Golden Glow Pineapple Turmeric Smoothie is also loaded with vitamin C! It’s great for knocking out a cold or keeping your immune system well. And since I’ve been sick THREE times already this year (ridiculous, I know! ), it seems that I might need to incorporate more immunity building foods into my diet. 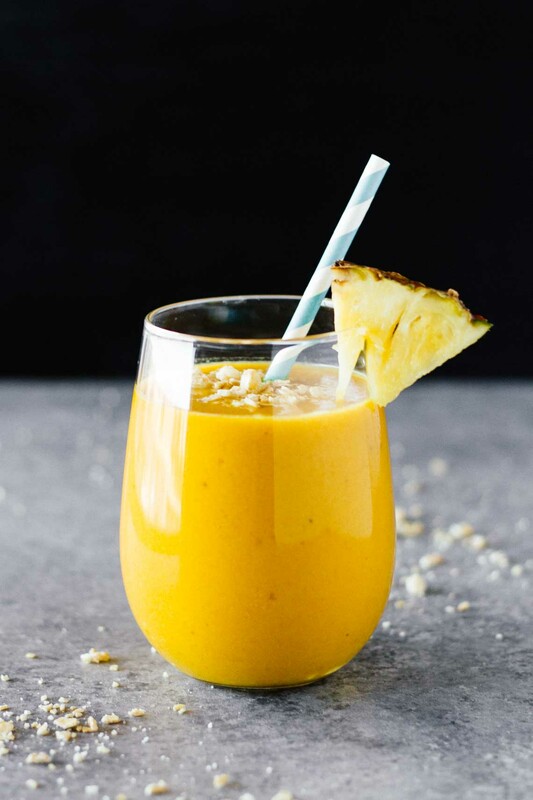 This delicious smoothie is absolutely one of my faves!